I’m sure you’ve played the game before …..if stranded on a desert island where you could only bring three foods with you…what would they be? Hands down for me it would be a great aged cheddar cheese, warm, crusty french bread, crisp granny smith apples, lots of chocolate and of course a perfectly paired wine. What? A couple too many foods you say? Come on now, you didn’t really expect me to stop at three, did you? So let’s talk about this decadent macaroni and cheese. Today’s recipe has three ingredients and this time I really mean just three. 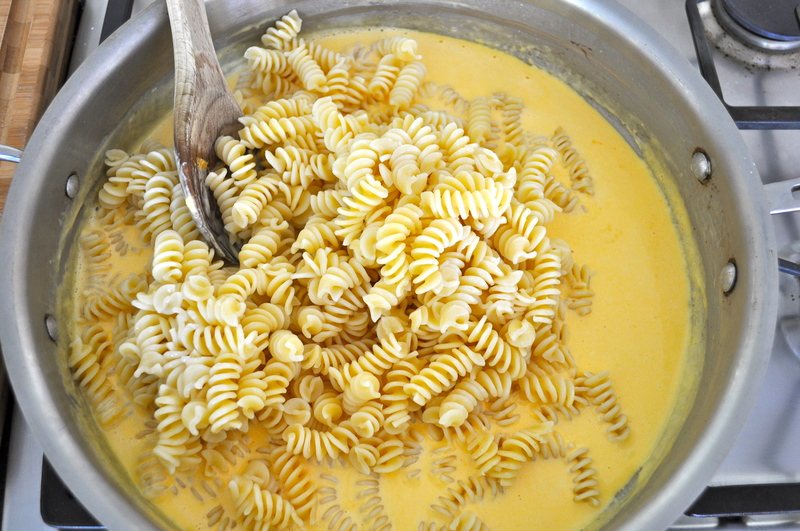 A chuck of great aged cheddar, whipping cream and your pasta of choice. Reminiscent of the rich mac-n-cheese served as a side dish at high end steak houses, this is the real deal. I don’t eat carbs often so when I do, it better be worth it. This is worth it. The cheese sauce whips up while the pasta cooks and this dish is on the table in 10-15 minutes. Can’t beat that. I spent all last week gallivanting around Catalonia and the Costa Brava region in Spain on my bike with a great group of friends. Do I eat so I can ride or ride so I can eat….that is the question. Neither is the answer. I love them both! I am a bit snowed under though and trying to catch up, so my post today will be as simple as this recipe. Enjoy!! 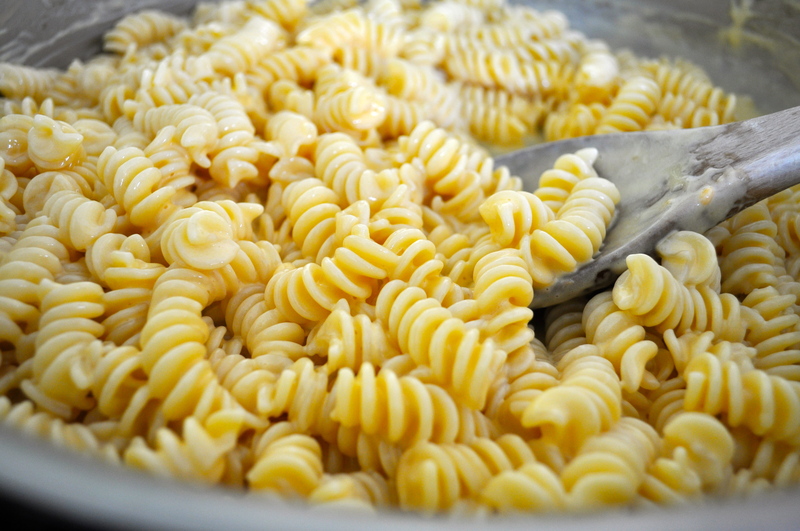 1 pound short pasta (macaroni or fusilli corkscrews work great). Cook al dente, according to package directions. Drain the pasta but do not rinse. 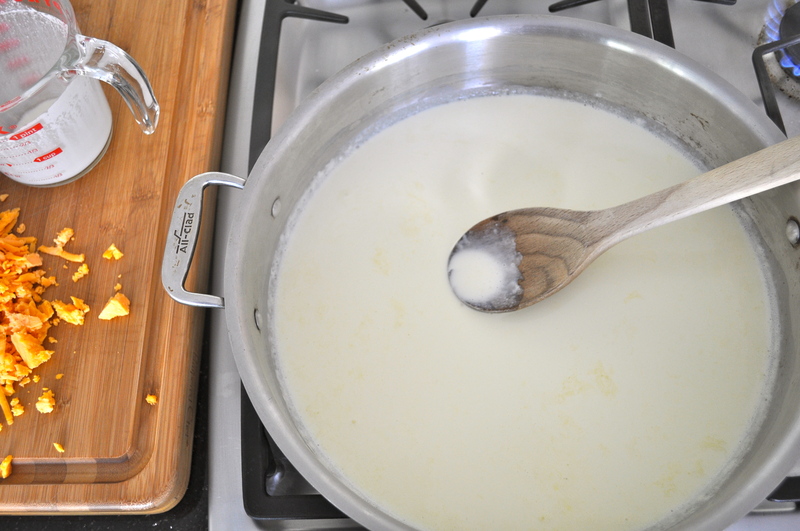 While the pasta is cooking pour the whipping cream into a large saute pan and bring to a boil. Reduce the heat and simmer for three minutes stirring occasionally allowing the cream to reduce. 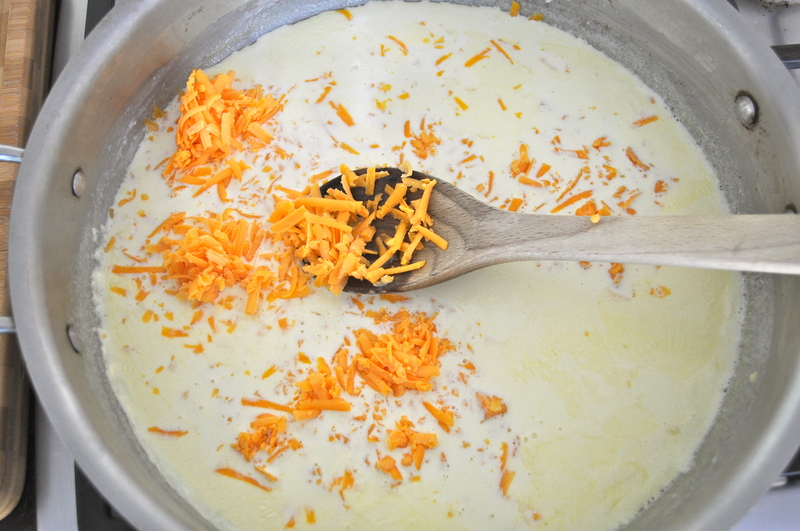 Add the grated cheddar cheese to the cream. Pick a really good chunk of cheddar. Hand grate the cheese. Do not choose a package of pre-shredded cheese. Besides tasting inferior, the pre-shredded cheese contains stabilizers that don't work well with this technique. Stir well over medium heat until the cheese melts into the cream and the sauce thickens, about another 1-2 more minutes. Salt and pepper to taste. Add the cooked pasta. I drain but never rinse my pasta after it cooks. The starch left on the pasta from the cooking water helps thicken the sauce, if you rinse the pasta you lose this. Stir to combine. Serve immediately and enjoy! Stir over medium heat until combined, about another minute. While the pasta is cooking pour the whipping cream into a large saute pan and bring to a boil. 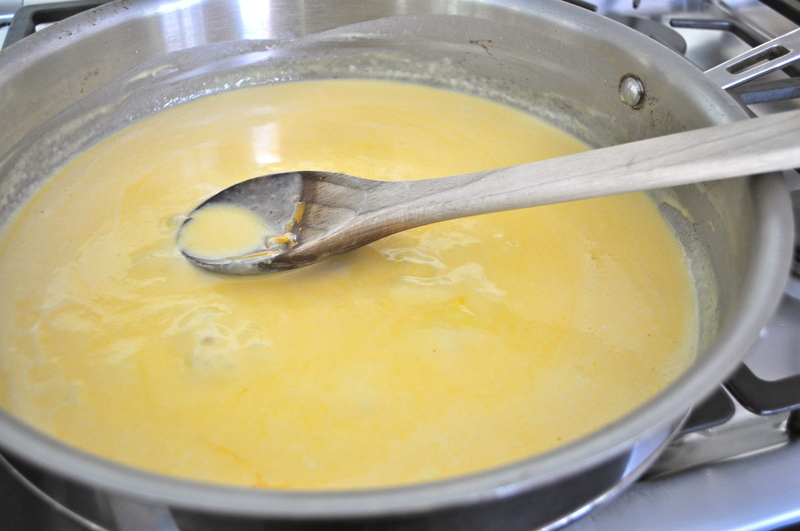 Reduce the heat and simmer for three minutes stirring occasionally , allowing the cream to reduce. 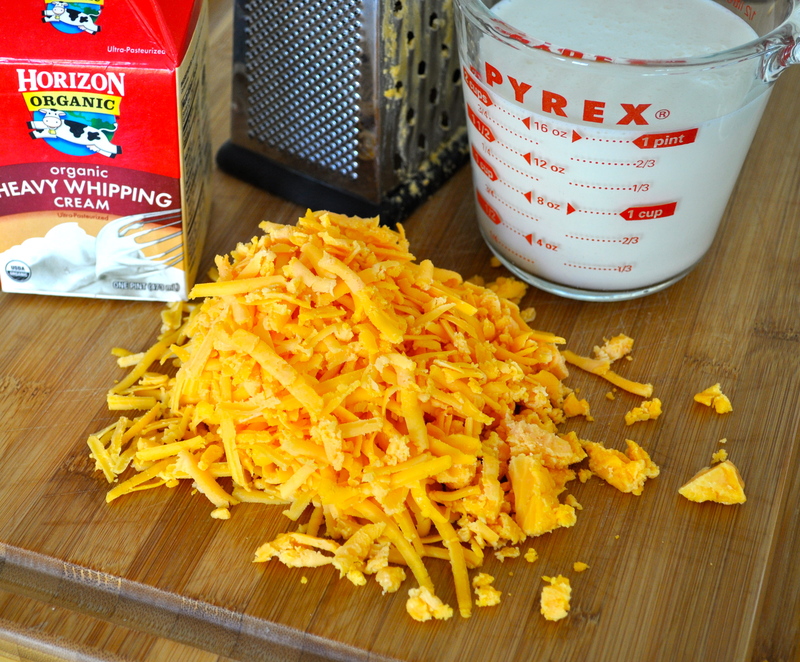 Add the grated cheddar cheese. Pick a really good chunk of cheddar. Hand grate the cheese. Do not choose a package of pre-shredded cheese. Besides tasting inferior, the pre-shredded cheese contains stabilizers that don’t work well with this technique. Add the cooked pasta. I drain but never rinse my pasta after it cooks. The starch left on the pasta from the cooking water helps thicken the sauce, if you rinse the pasta you lose this. And will taste much better than the Kraft mac & cheese from the box! And you can prepare it just as quickly! I’m making this one…not even passing on to Tom!! Wow Cathy That sounds just wonderful. Hope you had a wonderful time with your trips. You take care. 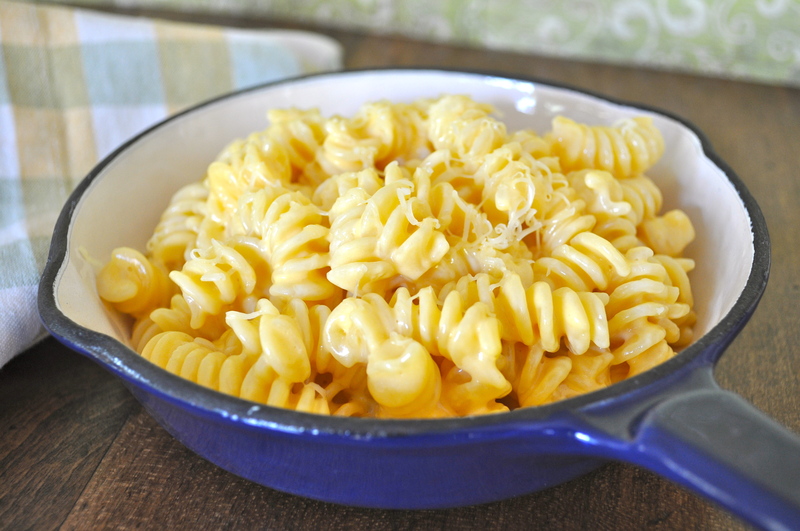 I’ll have to try this the next time I make homemade mac’ and cheese. I just made macaroni and cheese for my blog, however mine is a little less fancy (hello Velveeta!) Looks great! Oh wow, I just did this, it is *so* good! We never have ‘real’ cheese in chunks here, only shredded cheese, but I just added an egg to the cheese sauce like my grandma always did and it thickened quite nicely. A little bit of pepper, horseradish, and ground coriander seed (my secret ingredient, my hubby always wonders why *my* mac is better) and this was a big hit!